Whether your pet is in for a spay or neuter procedure or requires more complex soft-tissue surgery, the staff at Crossroads Animal Clinic can help. 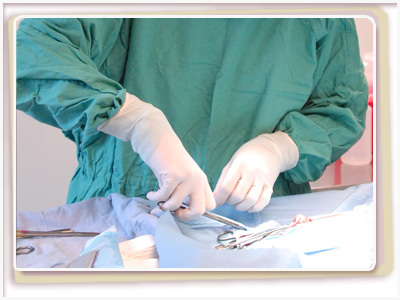 Our hospital is equipped to perform a wide range of veterinary surgical procedures. Because your pet's safety and comfort is our highest priority, we use advanced anesthetic and monitoring equipment during all procedures. The team at Crossroads Animal Clinic is also happy to provide your pet with access to the surgical services of Dr. Caleb Vaughan in the event your companion is in need of an orthopedic surgical procedure. We know that any surgical procedure, no matter how minor, can be stressful for you and your pet. It is our goal to make every procedure as safe and comfortable as possible for your pet. 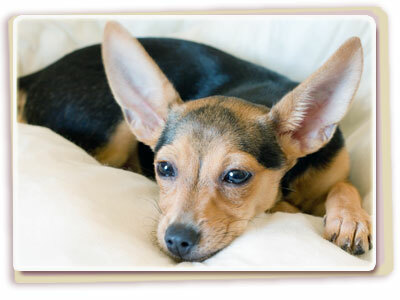 As part of this, we use the latest anesthetic procedures during each surgery to ensure that your pet is free of pain. Prior to every surgery and dental procedure, we perform pre-anesthetic bloodwork in order to detect any pre-existing condition that may complicate the use of anesthesia. This helps us tailor an anesthetic protocol that is specifically designed for your pet. During surgery, we use advanced monitoring equipment to monitor your pet's vital signs. One of our veterinary technicians is on hand during every procedure to assist our veterinarians and keep close watch on your pet. Pets feel pain just as people do. Pain management is an important part of our operative protocol. All surgical patients are provided with pain medication during and following surgery; we will send pain medication home with your pet should he or she require it. The less pain your pet is in, the faster he or she recovers.